Professor Ranabir Samaddar directs the Calcutta Research Group. Along with others, he has pioneered peace studies programmes throughout South Asia. He has worked extensively on issues relating to justice and rights in the context of South Asian conflicts and the much-acclaimed The Politics of Dialogue (Ashgate, 2004) was the culmination of his work in this field. He specialises in migration and refugee studies, the theory and practices of dialogue, nationalism and post-colonial statehood in South Asia and new regimes of technological restructuring and labour control. 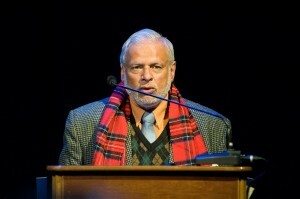 His recent political writings, published in the form of a two volume account, The materiality of politics (Anthem Press, 2007), and, The emergence of the political subject (Sage, 2009), have challenged some of the prevailing accounts of the birth of nationalism and the nation state and have signalled a new dawn in critical post-colonial thinking. A selection of his writings on the post-colonial nation have just been published under the name, The Nation Form (Sage, 2012).